Over the past twenty years, we have narrowed our focus and fostered the development of industry leading software and internal systems to ensure client satisfaction. By narrowing our focus to four niche markets, we understand the aspects and complexities of each area and are able to ensure quality and consistent results every time. We are experts in our chosen markets and deliver the exceptional care and results our clients expect and deserve. 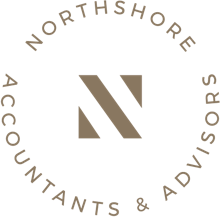 Our clients are invested in building their business(es) and rely on us to provide premium bookkeeping and accounting services throughout the lifespan of their business. Our customized plans take a team-approach to defining and accomplishing business goals, and are designed for all business types whether it be a sole proprietorship, partnership or a corporation. Our team utilizes latest technologies and internally-developed systems to ensure that your personal income tax returns are completed and reviewed thoroughly, ensuring you pay the least amount of taxes. Our commitment continues after the submission deadlines, as we support our clients with future tax planning and life changes. Cross-border income and tax related matters pose unique challenges that require specialized knowledge and attention. With extensive experience working with clients who have ties to the US, our team understands the hurdles associated with moving to/from Canada, selling property in Canada, or claiming business, rental or employment income earned in Canada.